For the 2017/18 academic year the department graduated 25 BS, 10 BA, and 7 MS students with a degree in geology. In addition, 1 student left with the honor of PhD. As you can see in the above picture several students took part in commencement. Grads, we love to hear your names as you walk across that stage! Wishing you all the best of luck in whatever you do next and know that you always have a home in the Geology Department at SDSU. 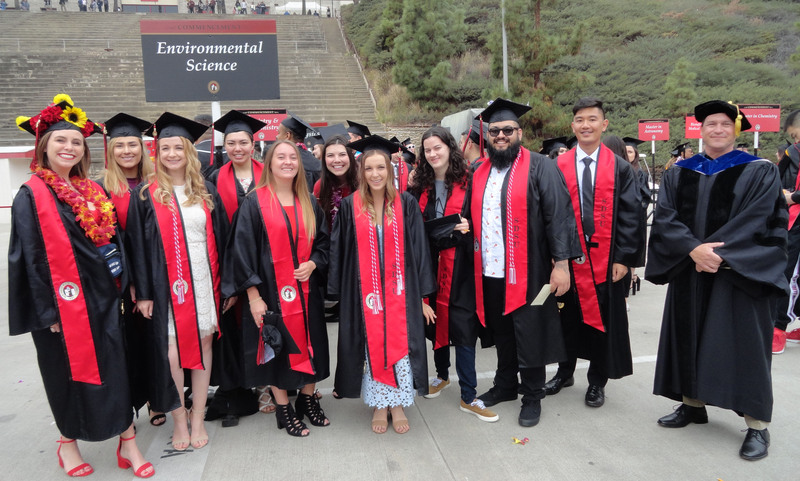 As the new addition to the department, we saw 31 Environmental Science students graduate with a BS. We also extend our congratulations to you and hope you achieve all you set out to.